I've been cooking and painting all day today! I prepare before I start a painting as I prepare before cooking. I lay out my paints the same way I arrange my ingredients on the kitchen counter. And then the cooking starts. I chop and mix, adjust the taste, add more of this and that and wipe my hands on my apron! It's frantic and messy! 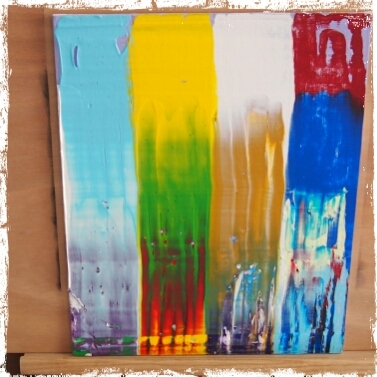 Painting is even messier, I mix the paints, spill a bit more, wipe it, draw on the canvas, erase it, draw it again, get it right! And all the time I wipe my fingers on my apron. Call me crazy but I think it is all in the apron! It holds the incredible power to transform me into a chef and a painter. It guards me and protects me. And bestows the confidence of the professional on me. Thank you very much! 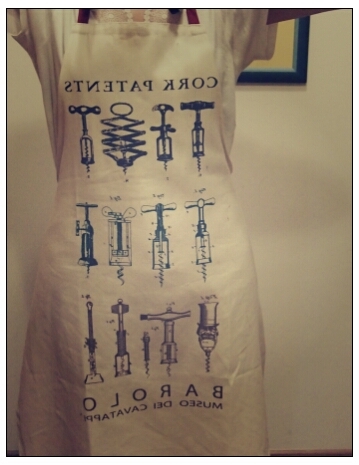 I just love aprons .... I have one for everyday of the week...Your aprons are really cute too!!! !